As the weather heats up outside it’s the perfect time to hit a park or beach, lay out your prettiest plaid blanket, turn up the sweet tunes on your portable speakers and get munching with your family and friends. I love picnics. Picnics are basically a pot luck out in nature. Cool beers, bird song and al fresco dining under the trees — what’s not to love? Picnics are also a great opportunity to share delicious vegan food with your omnivorous family and friends. They are the perfect platform for a cheeky little touch of baketivism (click here if that term is new to you) — or to show off just how fun, versatile, satisfying and delicious a cruelty-free lifestyle can be. So here are my top tips for making your transportable party — because that’s what a picnic is! —the raddest in the park. Picnic fare needs to be fun to eat, easy to transport and good at room temperature. The star of the paper plate needs to be hearty and packed full of flavour too. 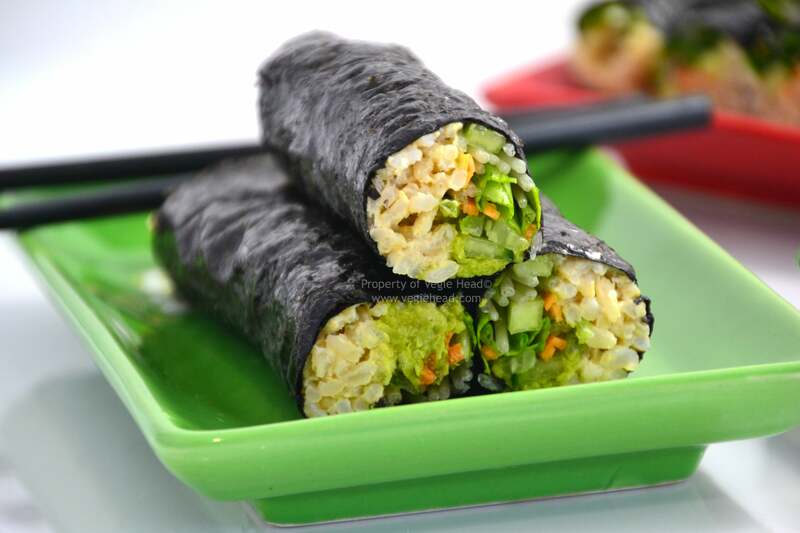 Sushi is a stellar idea and these Vegie Head Handrolls are just the ticket! It’s easy to bring a little tub of soy sauce and a little tub of wasabi along in your picnic basket too. Tacos are another top tip: bring a tub of corn tortillas, a tub of corn, bean and mushroom salad (or whizz yourself up a wicked raw walnut mince), a tub of salsa, a tub of guac, some shredded vegan cheese, some jalapeños and you’ve got all the makings of a rug-top fiesta! Then everyone can build their own! Wraps are ripper, as are veggie and condiment stuffed sandwich subs. And adding salads into individual jars is a great way to transport food easily — plus they look so pretty! Try popping Hannah’s Quinoa Tabbouleh into wee jars — your chums will be delighted. The handiest thing to take along to a picnic is any one of the bazillion amazing cruelty-free snack products that are now available on the market. If you are a Vegan Box subscriber then you get the latest and greatest introduced to you every month. 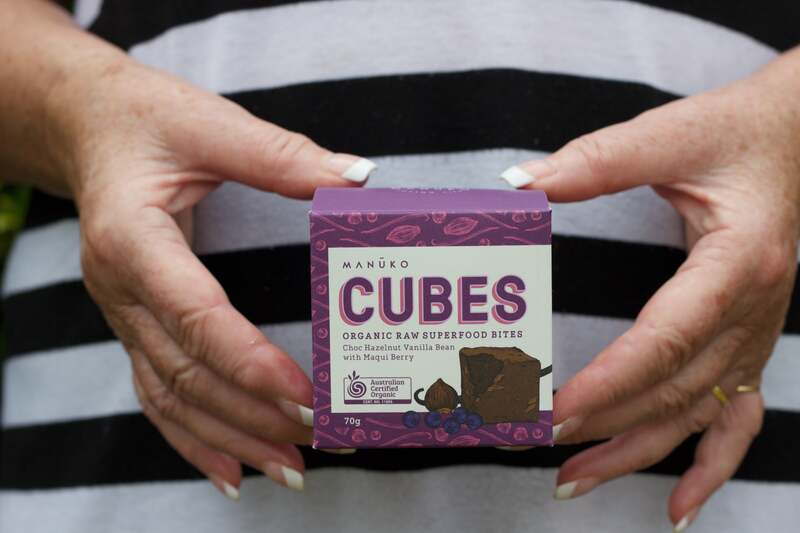 In this month’s Vegan Box, the Manuko Cubes would be a perfect addition to any picnic basket. These organic raw superfood bites are sweet and delicious and fill you up with nothing but the good stuff. Plus there’s protein balls, kale chips, seaweed snacks, trail mix, raw chocolate bars, flavoured popcorn, coconut chips…the list is endless! Baketivism is a great way to show people that vegan food can be downright glorious and it may even provide a gentle segue into discussing animal rights and compassion. Blow your picnic pals’ minds with these insane treats by Vegie Head: Double Choc Brownies, Coco-Lime Cupcakes, or Peanut Butter and Chocolate Mudcake. Or you could unbake a little piece of heaven and show your friends that eating vegan means the kind of treats that are healthy enough to eat any time they want! 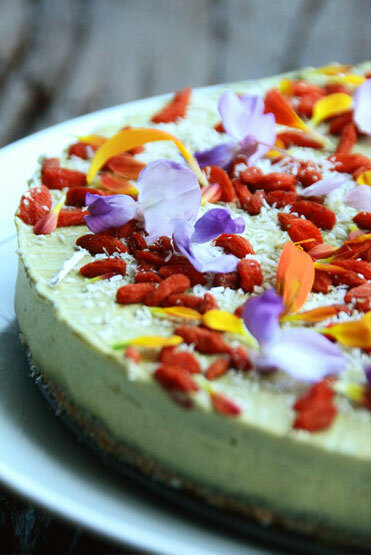 Try this raw Matcha Green Tea Cake by Jemma of Naked Treaties! If you enjoy a stiff drink to wash down those picnic delights don’t forget that many alcoholic beverages are not vegan. Beer, wine and cider are often filtered using animal products such as fish bladder, egg whites, milk or gelatine. 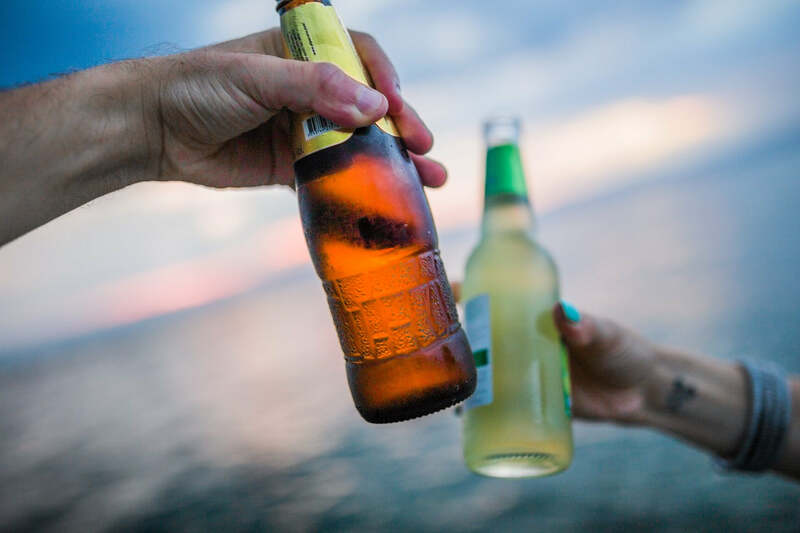 If you are unsure which alcoholic drinks are cruelty free, barnivore.com is a great website that logs which of your favourite beverages are vegan. Don’t forget to bring an eskie/cool box/chilli bin with ice to keep your brewskis nice and chilled. Stubby holders and plastic wine glasses are also picnic essentials. It’s great to bring a couple of trays along too, so people can set their drinks down without them tipping over in the grass/sand. An epic summertime playlist. Throws and cushions. 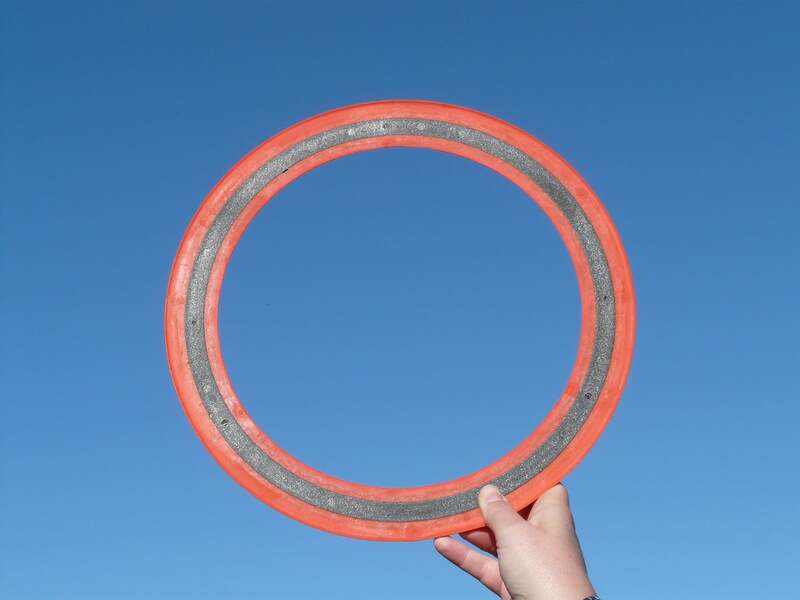 A frisbee. Bottles of water. Sandwich bags and cling wrap for the leftovers. Rubbish bags for the clean up. Plates, cups and cutlery. A chopping board and knife. Paper towel. Condiments like salt and pepper, mustards, pickles, sriracha, soy sauce and wasabi. Baby wipes. Sunscreen and natural, chemical-free insect repellent.